What is the benefit of having a good landing page? I know that you are a blogger or a digital marketer who looks forward to leads with good conversion in your blog/site. Nowadays, every single website is coming up with some new strategies for high conversion, and thus, you should do something out-of-the-box to stand out from the crowd, Do you agree with me? The landing page is not a new idea, I admit. But the way you design it can be innovative. If you just make a comparison of leads you get from landing pages, pop-ups and sidebar forms, the first one will lead the list. That’s the importance of landing pages. So today, I am going to introduce an amazing landing page generator to you, that’s WishPond. 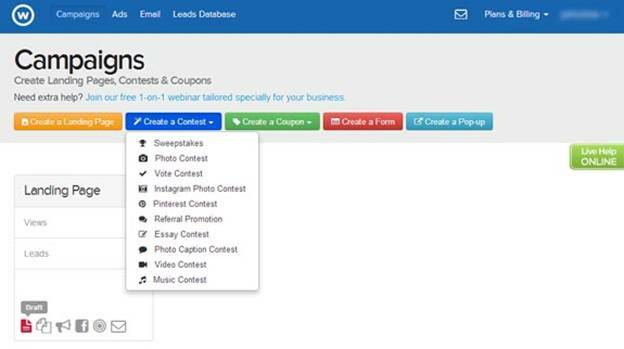 In a sentence, WishPond is a versatile platform to generate and nurture leads. I hope that you know the ultimate aim of the internet marketers is! Yes, it is to produce tons of leads and make them end up in sales with huge conversion rate. I think your aim is not different either. Read six instances where you need a landing page for your blog/site! Let me list some valid points to choose WishPond over any other landing page generator. WishPond’s website is getting over 4 million visits every month. WishPond platform is used by more than 100000 internet marketers of 30 different countries all over the world. I assume that you have an idea about WishPond. Now, let me give you its overview for better understanding. You can find a bunch of other landing page generator tools with hell lots of promises. But you can’t find a single one, which can match WishPond regarding features. When it comes to excellent landing pages, you may think that it is made of coding. Not at all! You don’t have to be a coding geek to create eye-catching landing pages that can softly compel your visitors to extend you a lead. Why because you have got WishPond landing page generator with you. The landing page builder of WishPond is not complicated. If you ever got a chance to use the post editor of WordPress blogger or a power point presentation tool, you will find creating a landing page on WishPond to be a walk in the park. Are you confused to choose between two types of landing pages? Then, here comes WishPond’s A/B split testing to your rescue. You can create as many landing pages as you want and check the performance of each to find which one suits the best. In internet marketing, A/B split test is so important to choose between two items. WishPond usefully incorporated this feature with their interface to serve us. Can you remember my saying ‘Lead pages are the best method to generate leads’? That doesn’t mean you shouldn’t test out the other techniques as well. 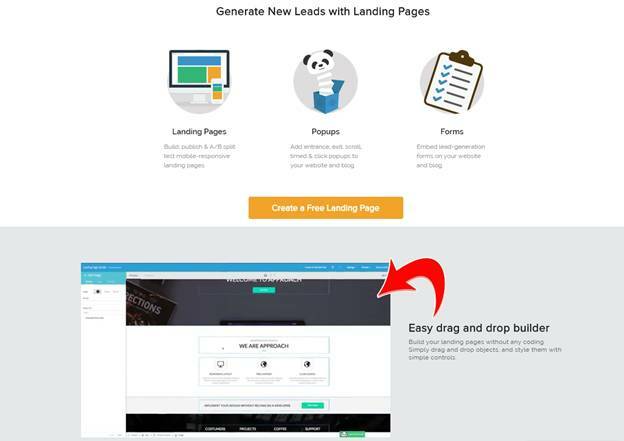 Even if WishPond is mainly built like a lead page generator, you can create pop-ups and forms to increase your number of leads. It is not a herculean task to integrate these forms to your websites, as they will give you a snippet of code to be used from the backend of your site. 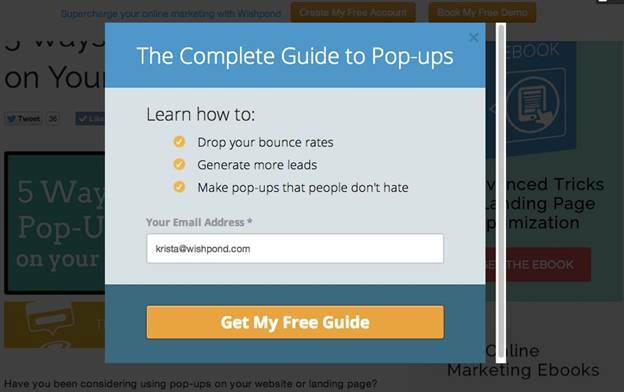 You may check how WishPond team doubled their blog lead generation with click popups. Internet marketers use various methods to generate leads including giveaways, webinars, freebie distributions, etc. For each campaign, you need a particular landing page. Making each of them similar will not be a good idea. Luckily, WishPond has inbuilt support for all these stuff like giveaways, contests, etc. So, you can build beautiful landing pages for each purpose. Getting a lead notification email is sweet, isn’t it? That’s why WishPond comes up with lead notification email option using which you can get to know instantly about every lead. I hope you got a clear idea of WishPond and what it exactly does. If you compare it side-by-side with any other landing page generator tool, it will be a cliché to see WishPond to win most of the times. Even though I have shared only five features here, it has many other specifications like multi-user support, real-time status, WordPress plugin, lead activity tracker, etc. Choose WishPond, enjoy the leads flowing.